At MacDonald’s Prescriptions, we’re committed to working with you and your doctor to develop health care solutions that fit your needs. Our pharmacists are highly trained professionals who are dedicated to providing efficient, accurate prescription dispensing and a high standard of advice in a private, confidential manner. Our specialized services help our patients achieve positive therapeutic outcomes, often through the provision of medication that has been specifically formulated and prepared for them by a compounding pharmacist. Our ultimate goal is to work with the physician and the patient to provide optimum treatment and the best possible care. Allan Baker, BSc. Pharm, RPh. Allan is a second generation pharmacist, having succeeded his father, Bill Baker, at MacDonald’s Prescriptions. 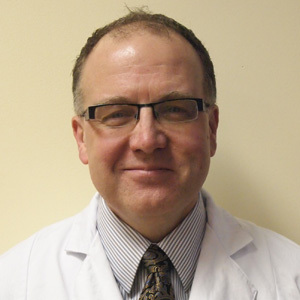 Allan graduated from the University of British Columbia, Faculty of Pharmacy in 1988, and worked for a national pharmacy chain for several years before moving to MacDonald’s Prescriptions in 1992. He completed specialized compounding training with Professional Compounding Centres of America (PCCA) in 1999 and is currently a member of PCCA’s Advisory Council. He was the recipient of the PCCA 2018 Compounding Pharmacist of the Year award. Cynthia Nhan, BSc. Pharm, RPh. Before becoming a pharmacist, Cynthia (a.k.a. Cindy) had worked with us as a pharmacy assistant for three years. She completed an undergraduate degree in Biopharmaceutical Science at the University of Ottawa, and graduated from the University of British Columbia, Faculty of Pharmacy in 2017.